Including two previously unreleased tracks. 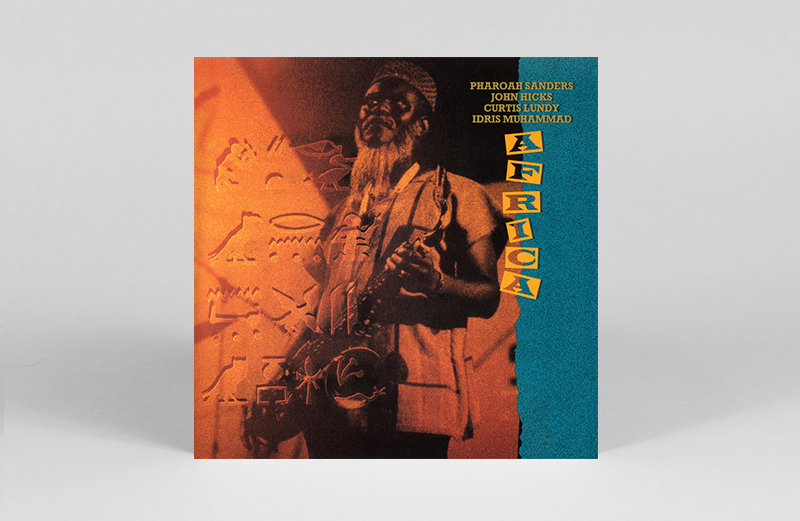 Celestial saxophone legend Pharaoh Sanders’ 1987 LP Africa is being reissued on vinyl for the first time, this March via Tidal Waves Music. Originally recorded and released in the late eighties, Africa followed Sanders’ A Prayer Before Dawn album. For Africa’s sessions, Sanders enlisted a three piece band with Idris Muhammad on drums, John Hicks on bass and Curtis Lundy on piano – a notably smaller line-up than his typical sextet (or larger) crews. The album’s first ever vinyl reissue will feature two previously unreleased tracks taken from the same sessions, as well as an obi strip and liner notes by author Kevin Whitehead. Pre-order a copy here ahead of its 29th March release, listen to ‘Naima’ and check out the track list below.